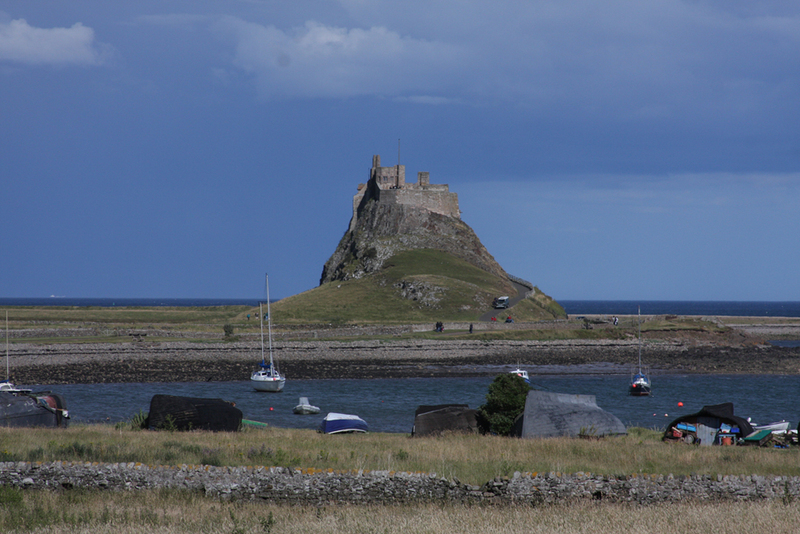 Holy Island is accessible from the mainland at low tide, by means of a long causeway. From the eighth century, it was vulnerable to Viking attacks and at a later dater, it was central to conflicts between English and Scottish forces. 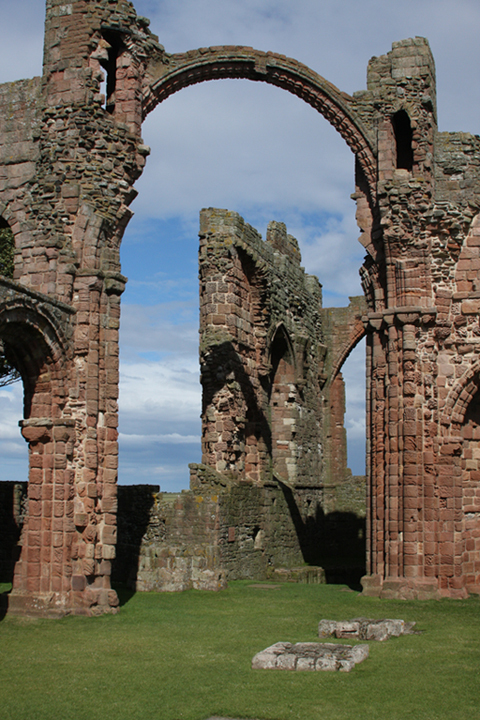 By the Tudor era, it was clear that there was need for a much stronger fortification in that part of the country, particularly after the 'Dissolution of the Monasteries' when the remains of the ancient Lindisfarne Priory were used as a naval store. In 1542, King Henry VIII directed the Earl of Rutland to fortify the site against possible Scottish invasions. During the reign of Elizabeth I (1558-1603), the fort was strengthened further and modern, artillery platforms were installed. When James I succeeded to the throne in 1603, the Scottish and English thrones were combined, which made disputes between the two countries obsolete. It follows that Lindisfarne Castle fell into disuse and the building declined. In later years it was used as a coastguard lookout and became something of a tourist attraction. In 1901, things took a turn for the better when the castle was purchased by Edward Hudson, a publishing magnate who owned the famous 'Country Life' magazine. Hudson had the structure refurbished by Sir Edwin Lutyens in the 'Arts and Crafts' style. Since 1944, the castle has been in the care of the National Trust. 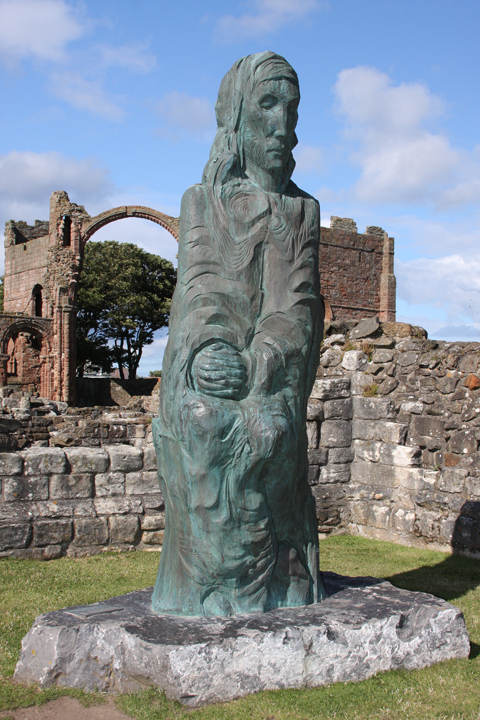 Lindisfarne Priory was founded in the 7th century by the monk Saint Aidan. It is thought that in the early part of the 8th century, the glorious, illuminated manuscript known as the 'Lindisfarne Gospels' were compiled in the Priory. In AD793, England's terrifying 'Viking Age' began with a ferocious attack on the Priory.